It’s no surprise that wedding photography comes with a price tag! After all, your photographer will be responsible for preserving all of your most precious memories. However, some couples often wonder why wedding photography is priced the way it is. Are you aware of what professional wedding photography actually entails? You will want your wedding photos to be flawless! That’s why your professional wedding photographer utilizes top of the line equipment. In order to capture such high-quality photos, your photographer will ensure that they maintain up-to-date equipment, which certainly isn’t inexpensive. Your professional wedding photographer isn’t just someone who captures weddings as a side gig. They dedicate a great deal of time and energy to ensure that each detail of your big day is photographed to perfection. With much effort put forth, you can ensure that the images from your big day are all that you dreamed they would be, which should certainly be appreciated. A lot goes into presenting a couple with stunning photos from their wedding. In fact, it’s important to keep in mind that your photographer doesn’t just snap some photos and call it good. Your professional photographer will be safe with insurance, ensure that each detail is captured with employees assisting them, along with taking the time to edit each image and prepare them for couples. All of these little details certainly takes a lot of time, energy, and money. It’s important to understand the efforts that your wedding photographer puts forth to beautifully capture your big day! These are just a few reasons as to why wedding photography is priced the way it is. 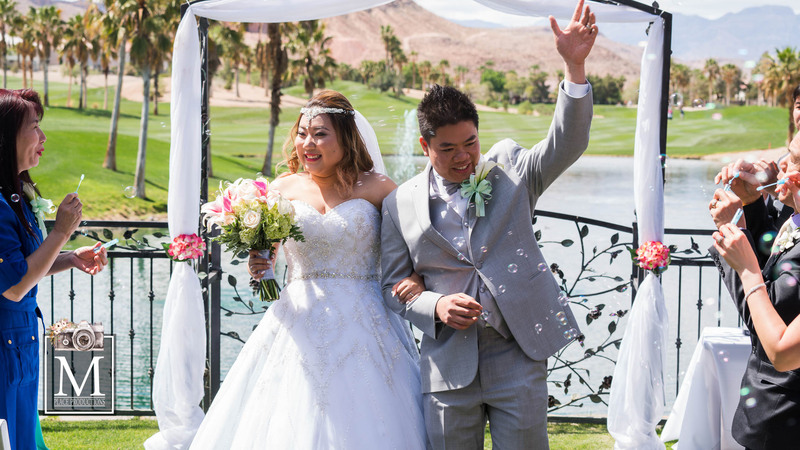 So, if you are all set to hire your own wedding photographer in Las Vegas, Nevada, please don’t hesitate to contact us here at M Place Productions! We are always excited to present couples with one of a kind images, and would be pleased to do the same for you.